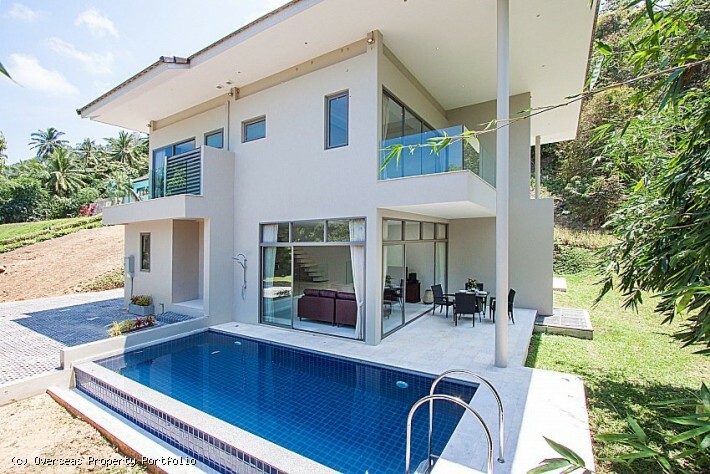 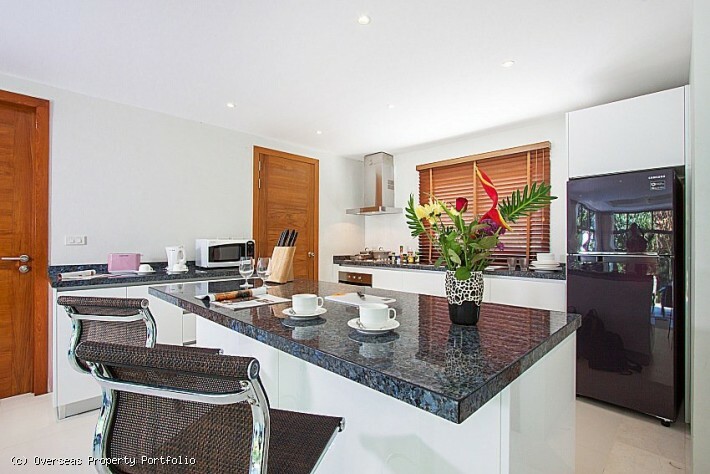 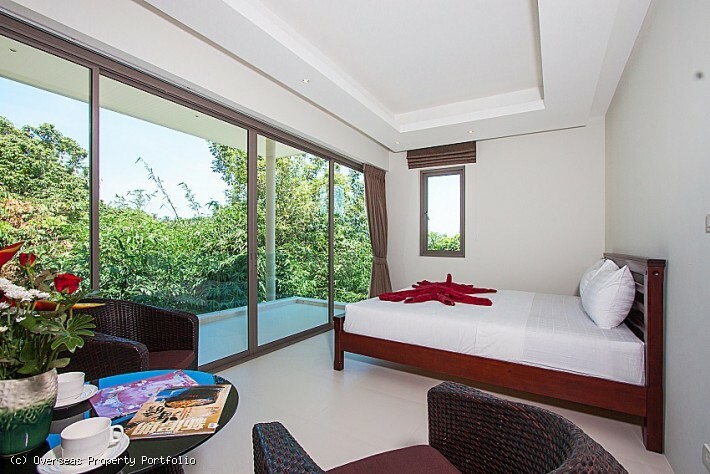 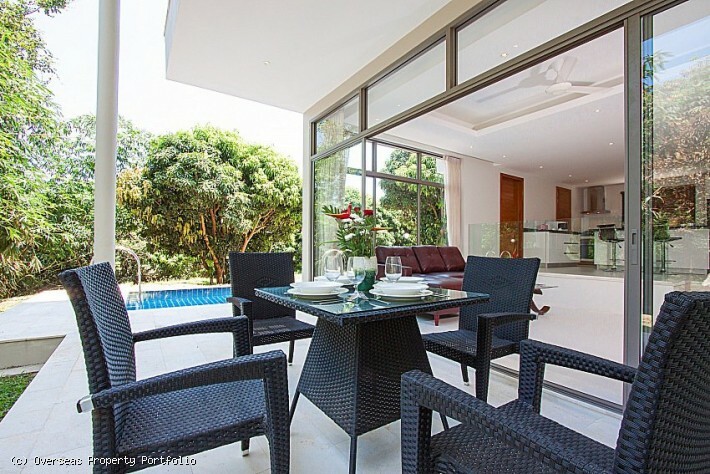 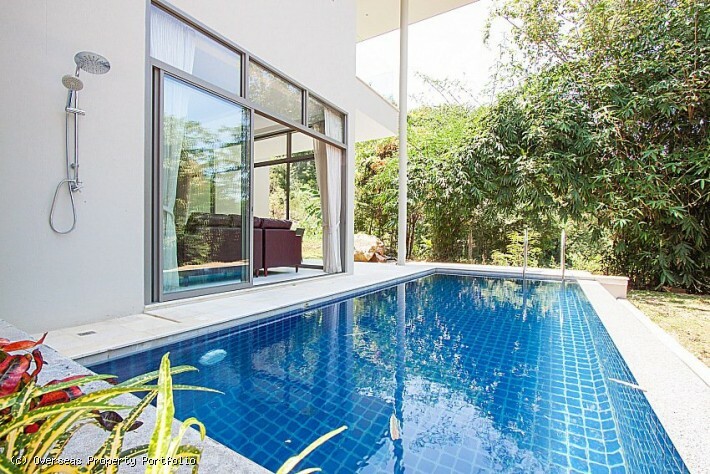 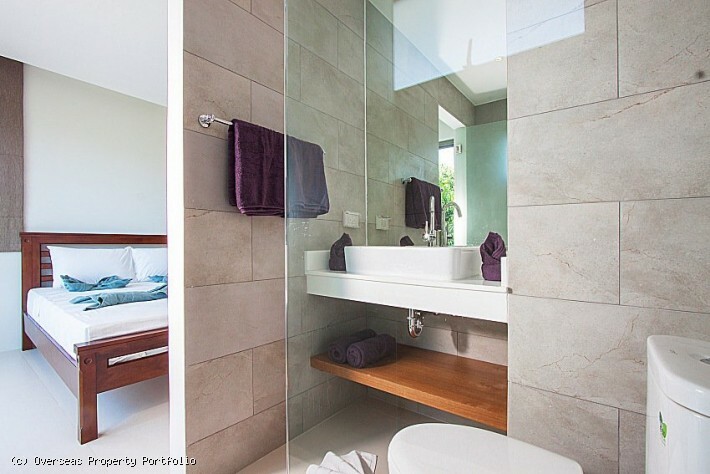 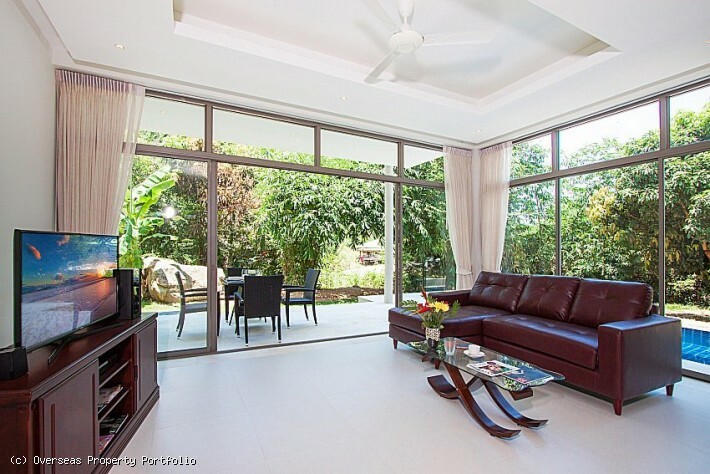 This Koh Samui pool villa for rent is available on a per month or long term basis. 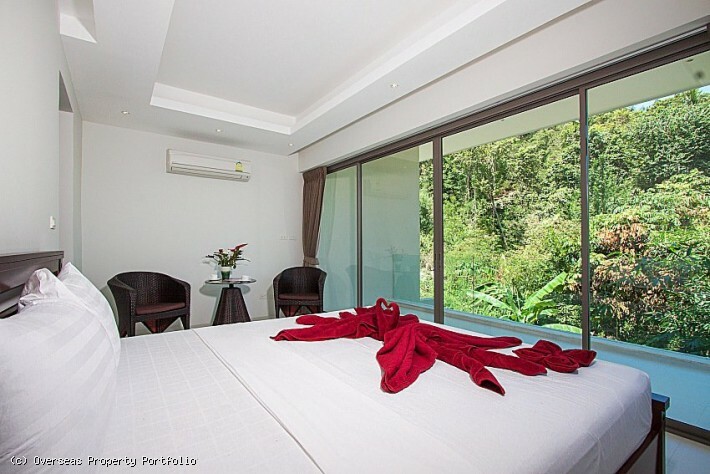 Located in a tropical valley with great views over lush green hillsides and no passing traffic this is a calm and relaxing area to stay during your holiday. 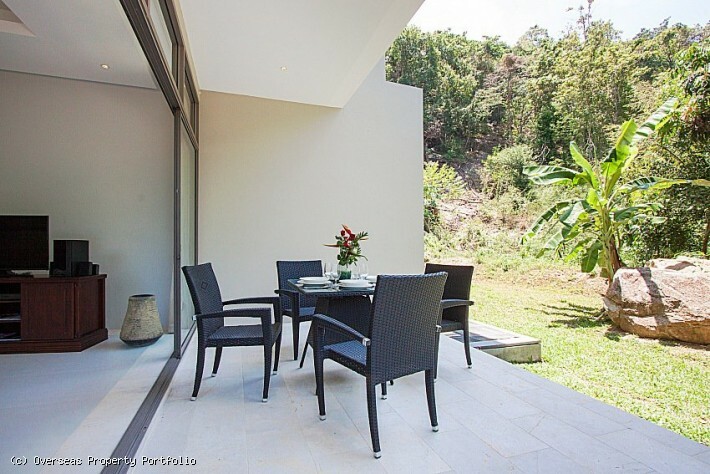 The area is surrounded by tropical trees, shrubs, flowers, plants, palm trees, banana trees, mangos and coconuts are a natural part of the flora and a few small waterfalls are also very nearby. 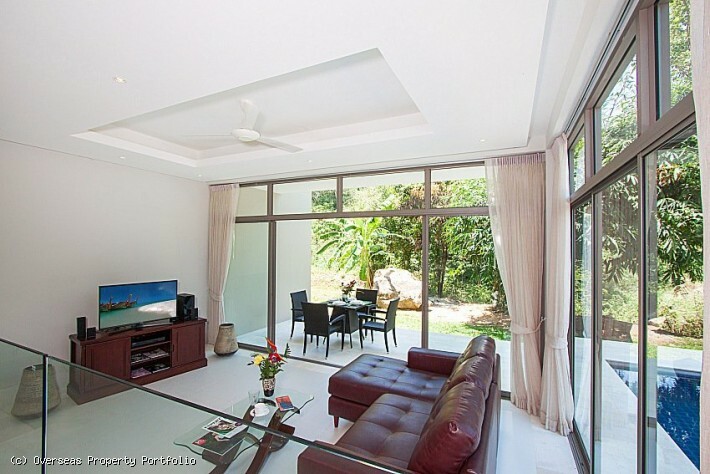 Bang Por Beach, family friendly, is just 1km away and the area is designated as a "Green Zone" by the Government and is dedicated only to residential development. 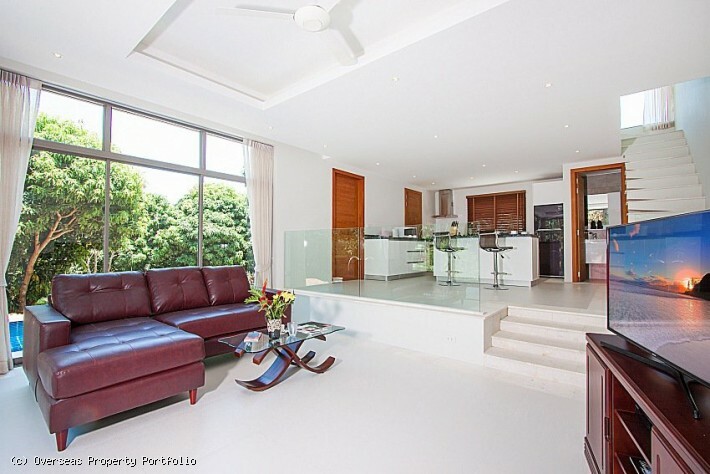 The large open plan living area opens onto a covered terrace via floor to ceiling patio doors which overlooks an inviting infinity edge swimming pool. 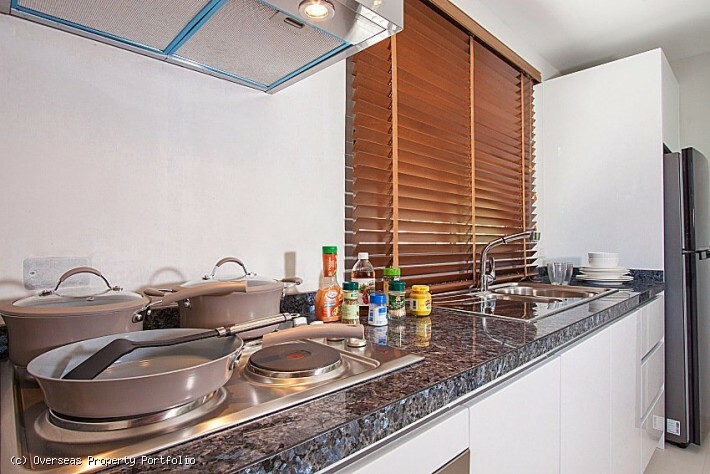 The stylish and fully equipped kitchen includes a breakfast island and a laundry/storeroom is situated to the side along with a guest wc. 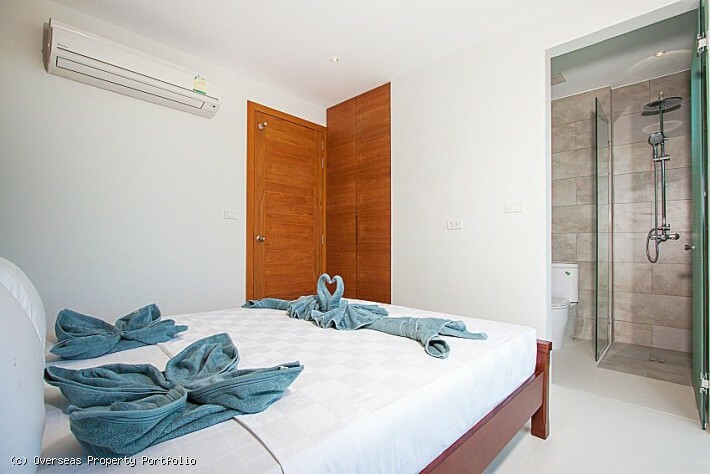 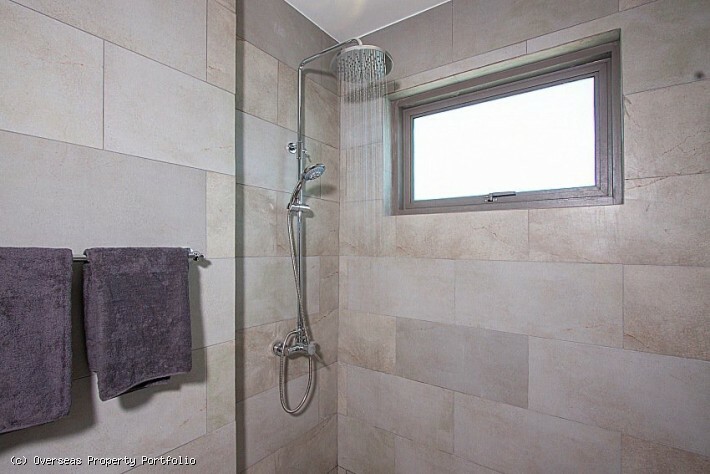 On the first floor there are 2 bedrooms with the master having a king bed and guest bedroom a queen bed. 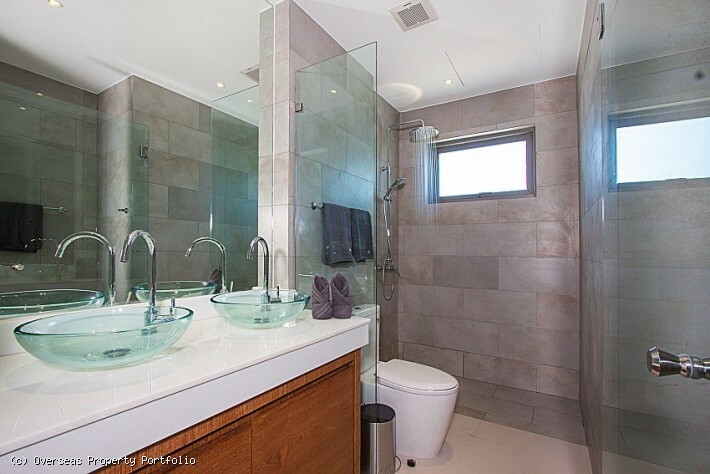 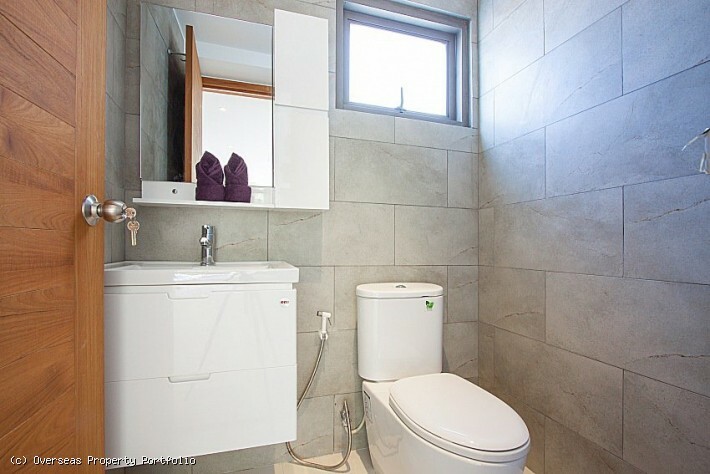 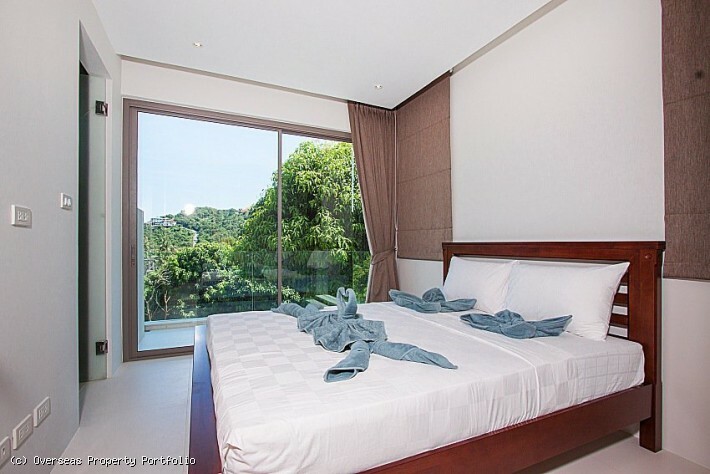 Both bedrooms have built in wardrobes, private terrace, ensuite bathrooms with shower and offer extensive views of the surrounding area. 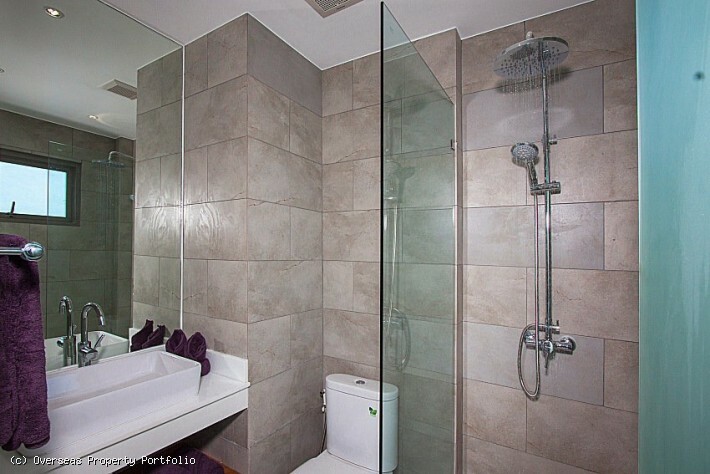 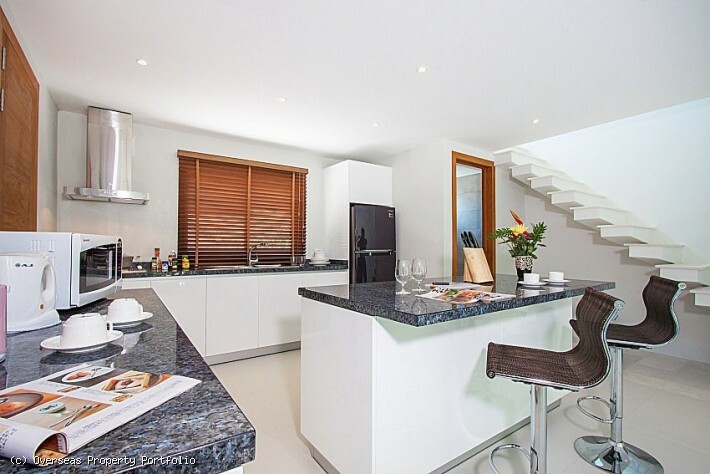 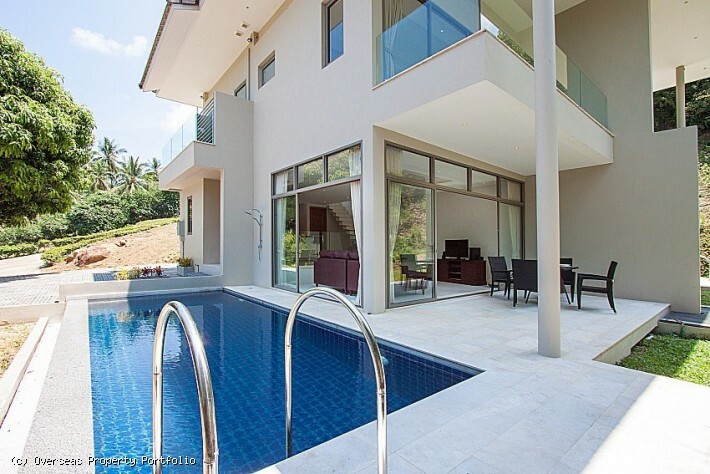 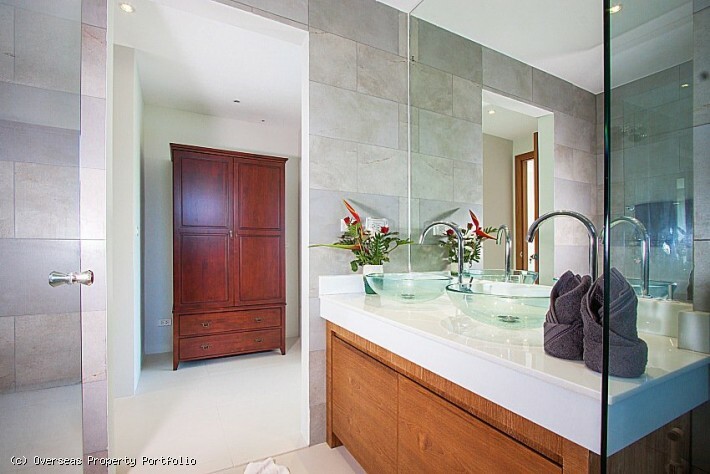 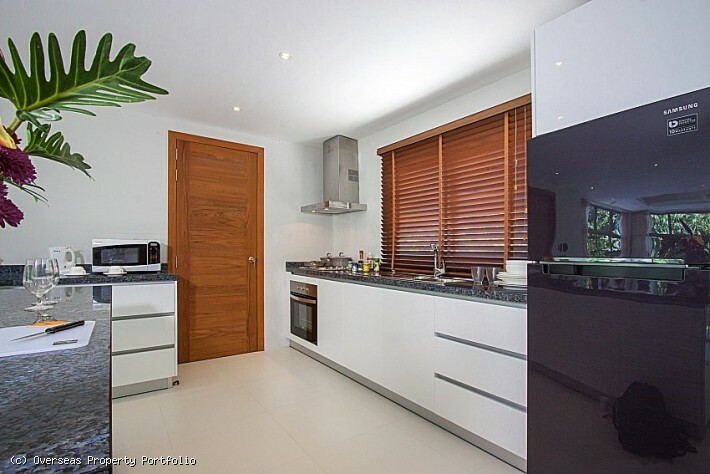 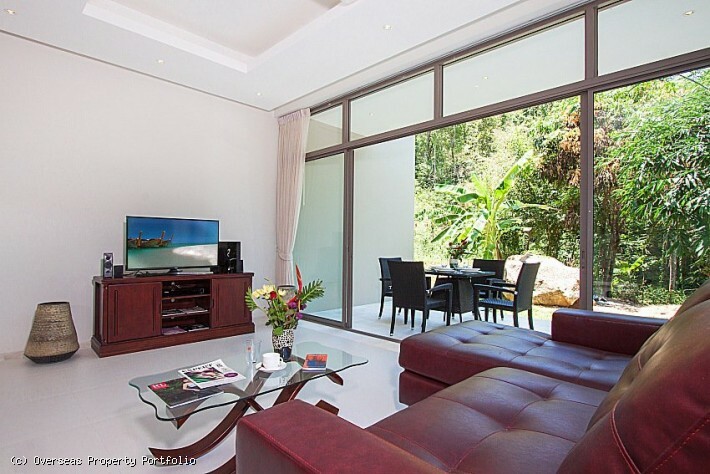 The Koh Samui property for rent is located within a project which is staffed 24/7.